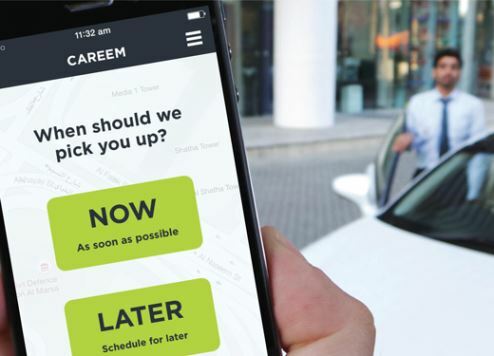 Emirates Skywards, the award-winning frequent flyer programme run by Emirates has signed Careem as its latest partner. It’s the first time a frequent flyer programme has offered both accrual and redemption opportunities with the region’s leading car booking app. The exclusive partnership provides Emirates Skywards members with even more affordable redemption opportunities within the travel space. Careem is a chauffeur cab booking service available across the Middle East and North Africa. It is one of the fastest growing companies in the region, with a presence in nine countries. Skywards members can accrue or redeem Skywards Miles when using Careem services in the UAE, Qatar, Saudi Arabia, Lebanon, Jordan, Egypt, Pakistan, Kuwait and Morocco. Members can pre-book or request a car instantly via the Careem mobile app. To earn Skywards Miles, members must add their Emirates Skywards membership number to their Careem account, using the same name as their Emirates Skywards account. One Mile will be earned for every US$ 2 spent on Careem. Miles can be redeemed for Careem Credit via emirates.com with redemption values offered in blocks of $25 equivalent to 4,500 Skywards Miles. Emirates Skywards is in its 16th year and has more than 16 million members. In addition to special offers with partner airlines, hotels and retail brands, members also enjoy special access to global sporting, arts and cultural events.